If one is fairly familiar with a certain topic, then one might not spend much time with the initial “visualize” step of the workflow. 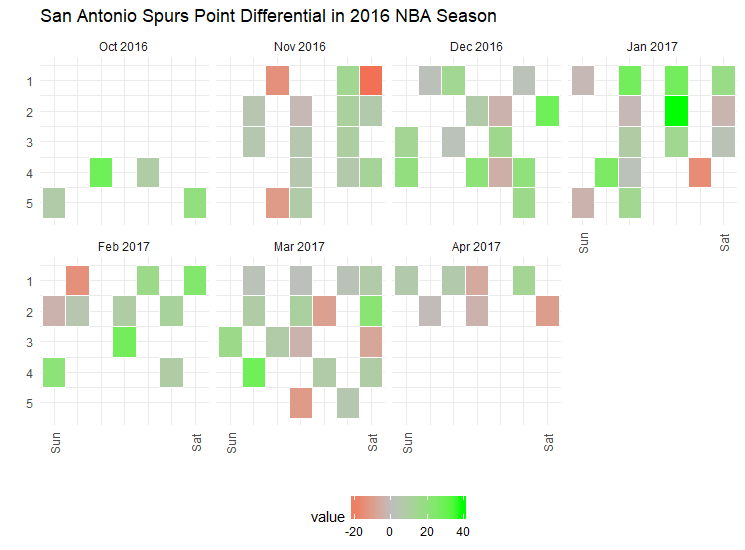 Such is the case with me and NBA data–as a relatively knowledgeable NBA follower, I don’t necessarily need to spend much of my time exploring raw NBA data prior to modeling. Anyways, as a break from experimenting with predictive models, I decided to make a visualization just for the sake of trying something I hadn’t done before. 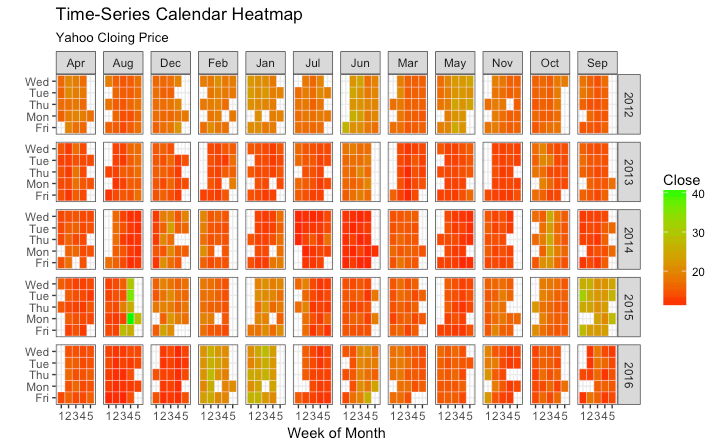 2 In particular, I was inspired by the calendar heat map visualization that I saw in the Top 50 ggplot visualizations post on the https://r-statistics.co website. # Look at a couple of different metrics. # Specifically, look at games played to date (g_td) and point differential (pd). # Tidy up because I was experimenting with different metrics, not just point differential. There are an infinite number of ways to visualize data like this, but I thought this was interesting because of the temporal nature of the data.